Another special thanks to Terry Lane over at Buzzin' Golf, a top-notch golf-related site and blog across the pond. 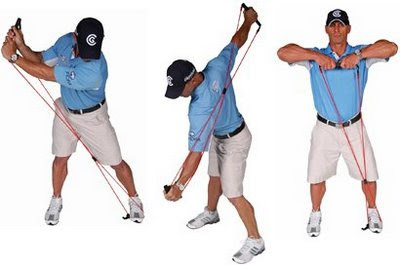 "With regular use, the GolfGym PowerSwing Trainer can improve your golf swing and help you exercise, too. The PowerSwing Trainer comes in two editions- Masters Edition and the Personal Edition. 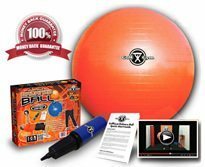 Each one includes a very strong rubber “PowerCord” with either a left or right-handed grip, an illustrated exercise program, an exercise DVD and a neat pouch to keep the PowerCord clean and tidy. 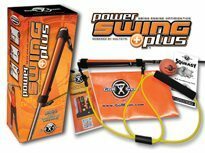 The PowerSwing Trainer Masters Edition includes the same contents as the Personal Edition but includes three PowerCord resistance levels: green lighter resistance for juniors and ladies, yellow medium resistance, and red for heavy resistance. 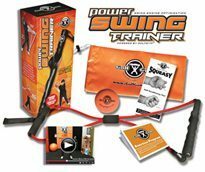 The PowerSwing Trainer is a useful golf aid that can be used as both for fitness and as a warm-up before a round. The Exercise Program includes warm-up, stretching, skill strengthening, general conditioning and injury prevention exercises. The PowerSwing Trainer is a portable golf specific training and conditioning aid that helps to develop muscle memory, strength and flexibility; and its beauty is that it fits into its own zip bag the size of a pencil case, so can be used anytime, anywhere. 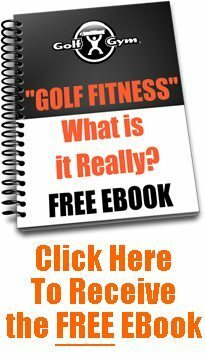 Choosing the correct resistance, this golf swing aid can really help you train your body to memorise how it feels to turn your upper body in the correct way. Similarly to the GolfGym Weighted Club and the Explainar, the PowerSwing Trainer has started to train my body to turn and swing better, helping to iron out a common problem among higher handicap amateurs - my tendency to add a fade on shots, especially with my driver. The problem is caused by not rotating my upper body on the backswing and not following through on a straight plane, but slicing across the ball on impact. But I can honestly say, the PowerSwing Trainer is helping me here. 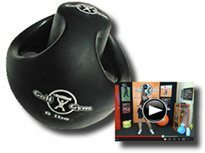 Regular exercise with GolfGym’s PowerSwing Trainer is helping me to feel more flexible and less rigid in my swing. The result is, I am hitting longer, straighter, more accurate shots, with more frequency. Joey D is currently coaching several pros on the US PGA Tour and uses GolfGym’s PowerSwing Trainer as part of their warm-up exercises."